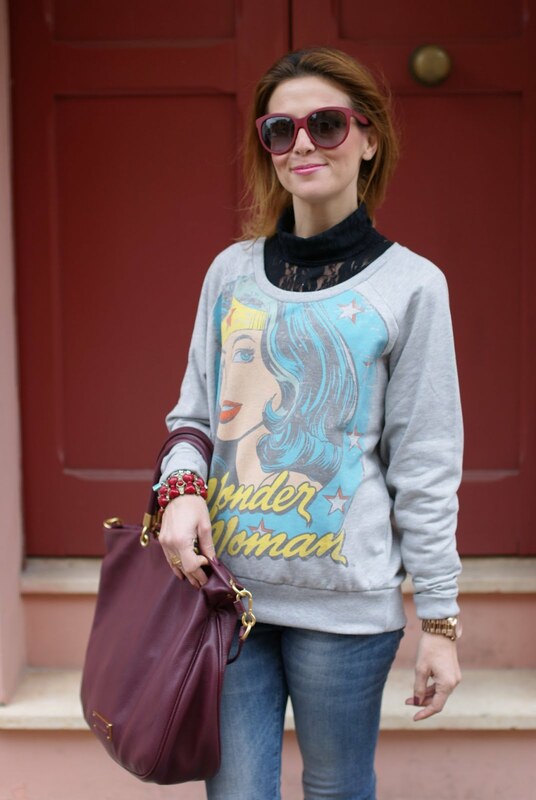 Printed sweatshirts seem to be everywhere lately and thanks to this trend sweatshirts aren't "just" a basic item ! They are no more confined to the gym or exclusive to "relaxing at home" moments !. You can find plenty of sweatshirts, from low cost brands to famous designer brands (the most famous sweatshirt of the moment being Kenzo tiger head sweatshirt, I am sure you have seen it on many fashionistas, it is now sold out everywhere !). 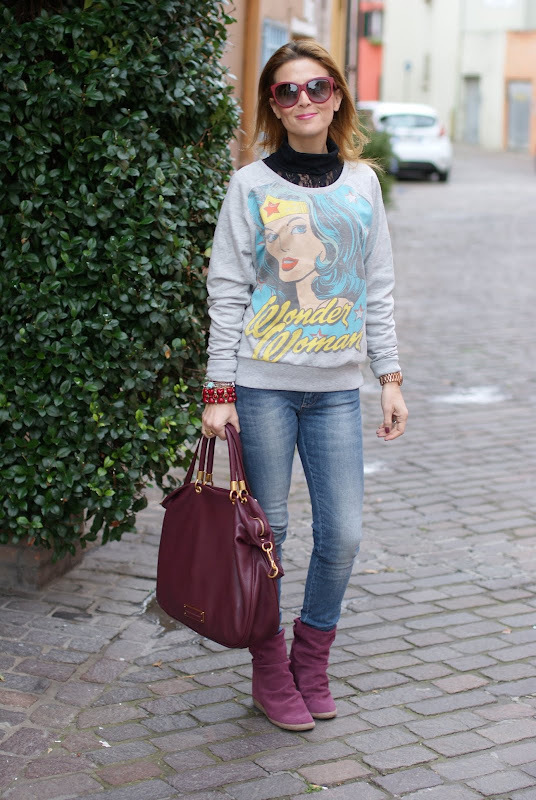 I love mine with Wonder Woman print, from Only, it's a bit oversized, warm and very comfy !. Le felpe stampate sembrano essere dappertutto ultimamente, grazie a questo trend non sono più solo un capo basic, non sono più confinate alla palestra o da utilizzare esclusivamente per momenti di relax in casa !. Potete trovarne di belle ovunque, dai brand low cost ai famosi designer (la felpa al momento più celebre è quella di Kenzo con la stampa di una testa di tigre, sono sicura che l'avete già vista su diverse fashioniste, ora è sold out dappertutto !). 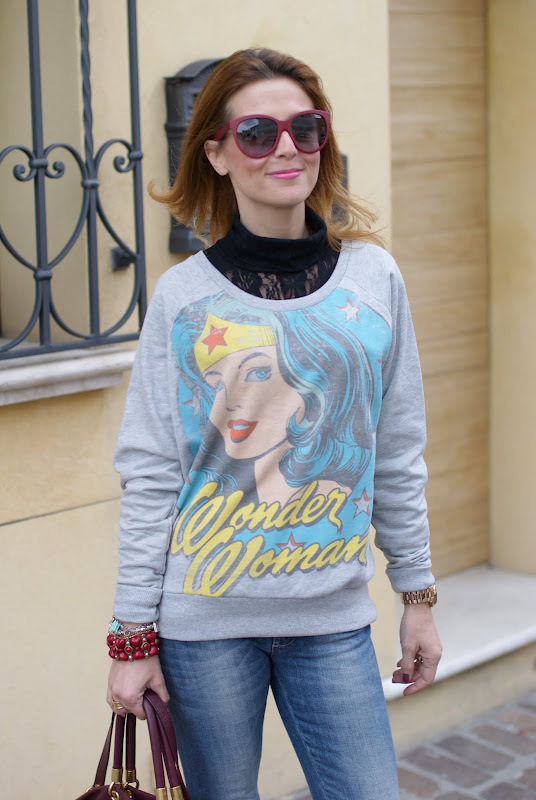 Io amo la mia con la stampa di Wonder Woman, di Only, un po' oversize, calda e molto comoda !. 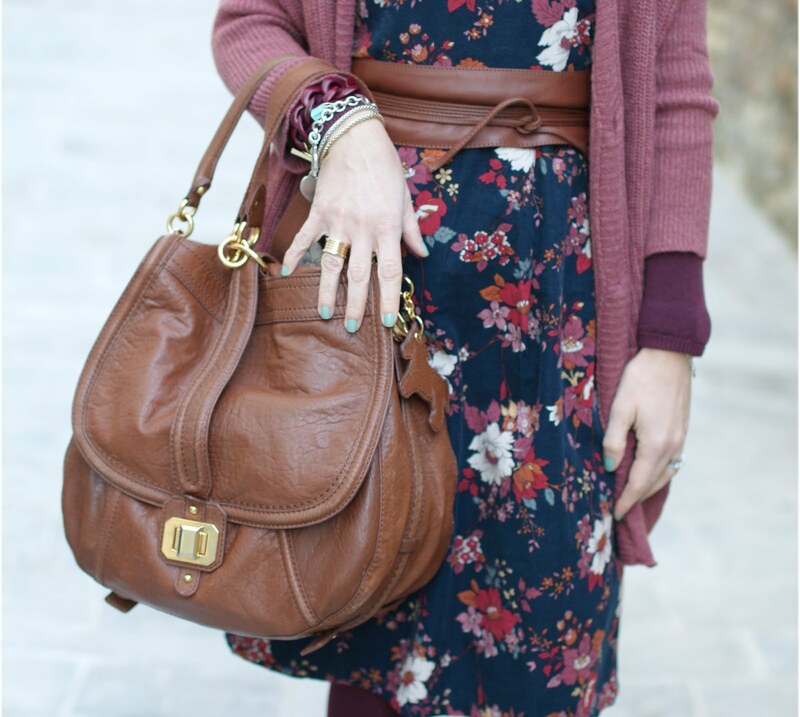 Feeling well dressed even wearing casual clothing is the ultimate challenge !. 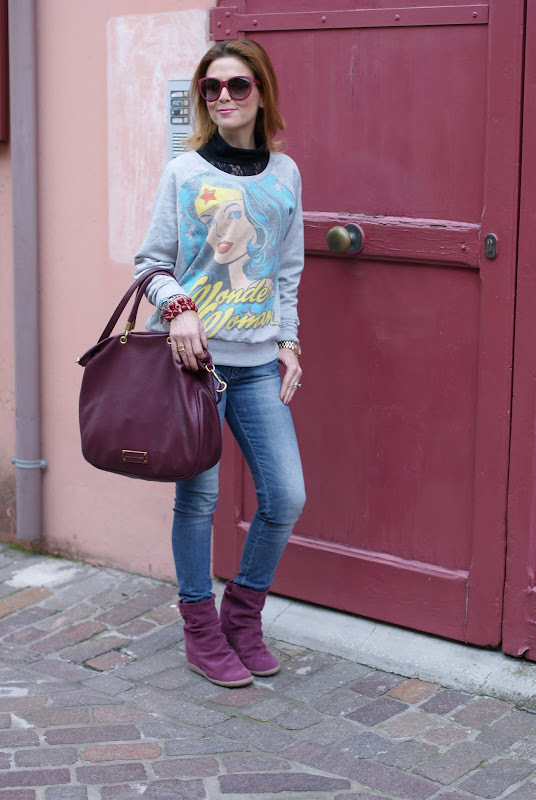 Printed sweatshirts can be worn with jeans or leggings but also with unexpectedly more "elegant" clothes, such as long skirts and pencil skirts, for a more sophisticatedly trendy result. I have decided to wear mine with skinny jeans and wedged boots for a casual but trendy outfit. As my beloved Barney Stinson would say...Challenge accepted !. Below, a small selection of grey printed sweatshirts :). Sentirsi eleganti anche indossando capi casual è la sfida più grande !. 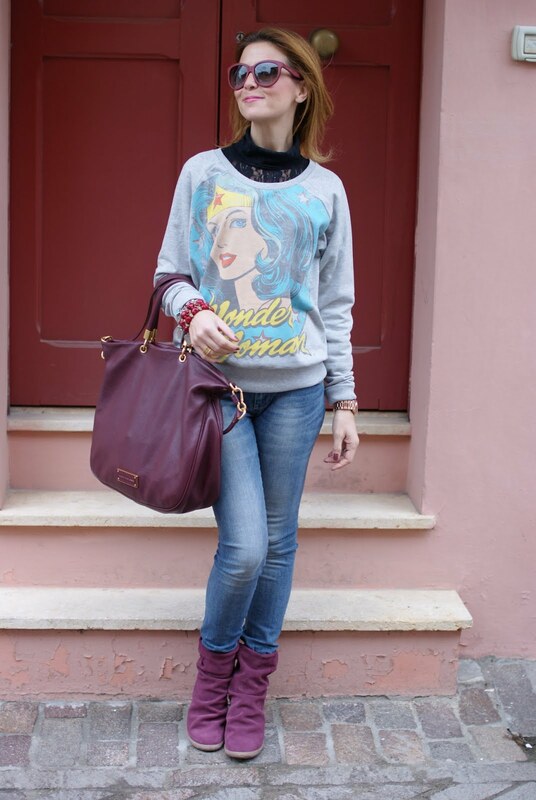 Le felpe stampate possono essere indossate, ovviamente, con jeans o leggings ma anche con capi più inaspettatamente classificati come "eleganti", gonne lunghe o a tubo, per un risultato più sofisticato e trendy. 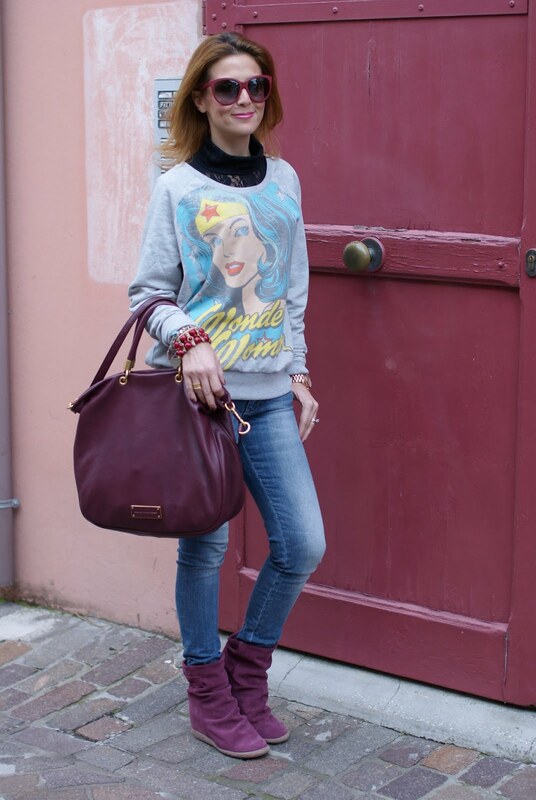 Ho deciso di indossare la mia con jeans skinny e stivaletti con zeppa interna per un outfit casual ma trendy. Come direbbe il mio adorato Barney Stinson...sfida accettata !. Nell'immagine sottostante, una piccola selezione di felpe grigie stampate :). 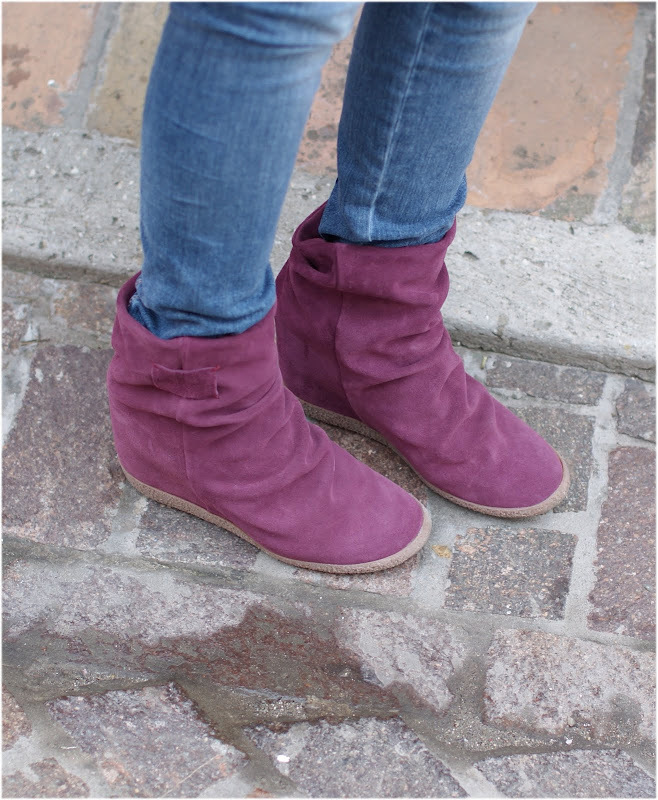 The wedge boots I am wearing in these pics are very comfortable shoes and they are the evolution of the wedge sneakers trend !. I chose them in a bold color, same color as my Dolce & Gabbana sunglasses and I matched them to my "Too hot to handle" tote from Marc by Marc Jacobs ;). I know some people get mixed feelings about internal wedge shoes, I personally like them (in spite of being a stilettos addicted) and anyway I can say I am not afraid of trying out new trends, this is the way I am in everyday life: stilettos, wedges, flats, sneakers, chunky heels and even UGGs...I sure do enjoy sporting new trends, playing with different looks and my only limit is this rule: "wear only things you feel at ease with" !. Gli stivaletti con zeppa interna che indosso in queste foto sono comodissimi e sono l'evoluzione delle sneakers con zeppa ! 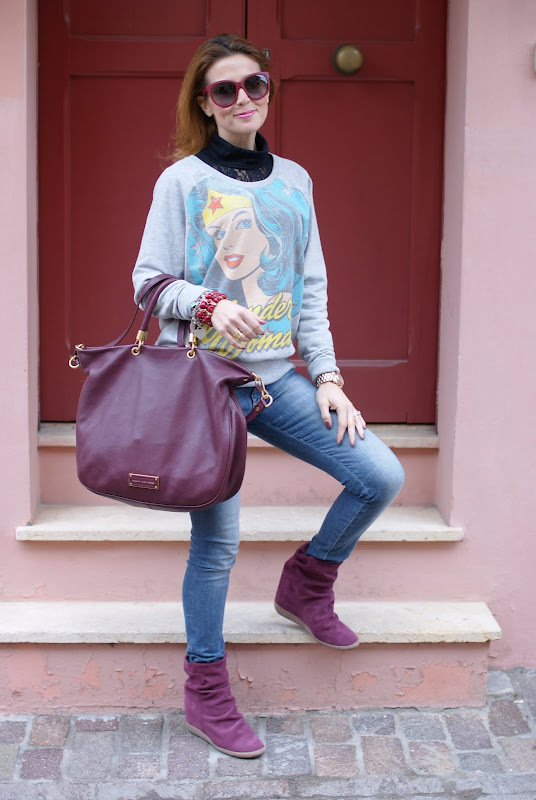 Li ho presi in un colore forte, lo stesso dei miei occhiali di Dolce & Gabbana e in questo outfit li ho abbinati alla borsa "Too hot to handle" di Marc by Marc Jacobs. So che le scarpe con zeppa interna suscitano opinioni molto diverse, a me personalmente piacciono (nonostante io sia dipendente dai tacchi a spillo) ma devo dire che in generale non ho paura di provare nuovi trend, è come sono fatta nella vita di tutti i giorni: tacchi a spillo, zeppe, scarpe basse, sneakers, tacchi grossi ed anche UGGs...adoro provare nuovi modelli, giocare con diversi look ed il mio unico limite è questa regola: "indossa solo capi con i quali ti senti a tuo agio" !. Something quite masculine, a black biker jacket, can turn into a very feminine model if it's in velveteen fabric, especially if it has studs on the sleeves and it's pretty short. Add to that one of the most feminine items we can have in our wardrobe, even if it's in camouflage print: a miniskirt ! 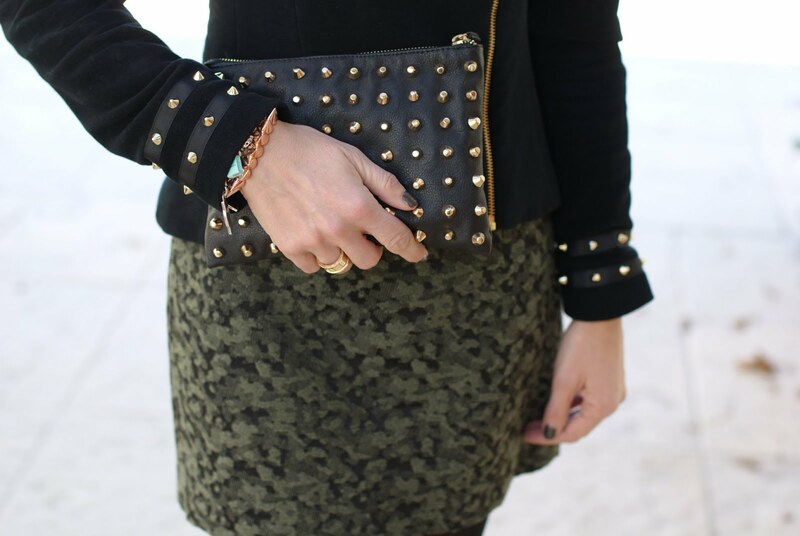 Here we are with a "Military and Miniskirt" look, a feminine outfit with a military twist :). Un capo abbastanza maschile come una giacca da motocliclista nera può diventare un modello molto femminile in velluto, specialmente con delle borchie dorate a fine manica e se aderente. Aggiungeteci uno dei capi più femminili che si possano avere nel guardaroba, nonostante la stampa camouflage: una minigonna ! Ecco pronto un outfit "Militare e Minigonna", femminile sebbene di ispirazione "army" !. I have to say I don't wear miniskirts as often as I used to do in the past, but this one caught my eyes at Zara...I quickly added it to my other purchases without even going to the fitting rooms ! Ok, I often skip the fitting rooms at Zara because I love the shop but the fitting rooms are often a disgrace and a hell to be in !. I always wear miniskirts with opaque tights because I like them much more with them, I am a no tights or opaque tights kind of person. Devo ammettere di non indossare minigonne spesso come un tempo, ma questa mi ha colpita subito da Zara e l'ho aggiunta ai miei acquisti senza neanche passare dai camerini ! Non che ci entri spesso, i camerini di Zara sono un luogo infernale !. Come sempre, ho indossato la minigonna con calze coprenti, le preferisco di gran lunga, sono il tipo di persona che passa da "senza le calze" ai 50-100 denari !. I opted for very high heels with these Jeffrey Campbell "Le chic" cut-out green suede pumps. These shoes are pretty high but quite comfy because have a concealed platform. They sold it also in black but I thought green suede would be more original and fun to wear ;). Below you can see them better !. Ho optato per tacchi alti con queste pumps scamosciate verdi con dettagli aperti di Jeffrey Campbell, modello "Le chic", altine ma comode grazie al plateau interno. Erano vendute anche in nero ma ho pensato che verdi fossero più originali e divertenti da indossare. Le potete vedere meglio in dettaglio nella foto sottostante !. As bag, I went for a Zara studded clutch you had already seen before. The lipstick I used is one of my fave lipsticks ever, Chanel rouge Coco n. 45 "Caractère", I think this time I am gonna finish a lipstick totally because I can't seem to get tired of wearing it !. That is all for my feminine military look !. I feel more like a soldier of shopping and even tho I am not living in the USA, I hope I can do some online Black Friday shopping !. Also, let me wish all my american readers a wonderful Thanksgiving tomorrow ! I am going to celebrate it anyway in a restaurant that organized a Thanksgiving menu with american food, can't wait ;). Come borsa, ho scelto la clutch borchiata di Zara che vi avevo già mostrato prima. 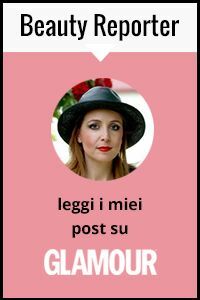 Il rossetto che porto è uno dei miei rossetti preferiti di tutti i tempi, Chanel rouge Coco n. 45 "Caractère", credo che stavolta lo finirò perché non me ne stanco mai !. 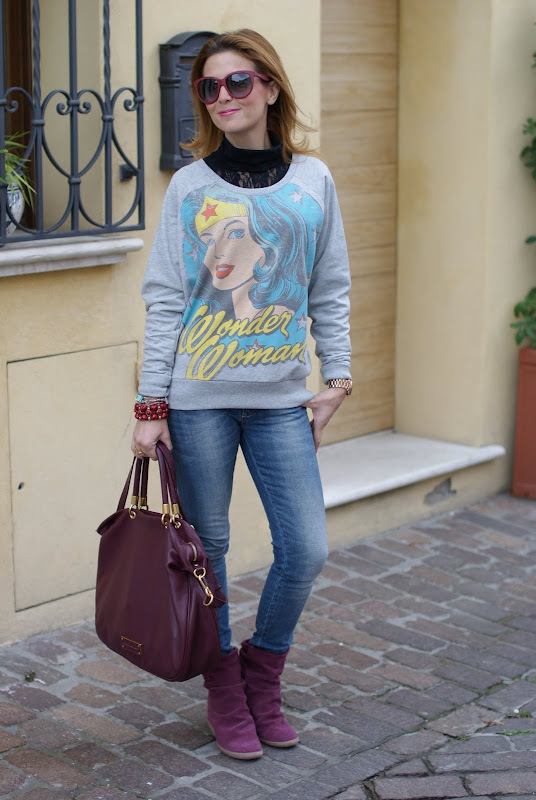 Questo è tutto per questo look femminile e militare. Mi sento come una soldatessa dello shopping e, sebbene non viva negli USA, credo riuscirò a fare un po' di online shopping nel "Black Friday" !. A proposito, lasciatemi augurare ai miei lettori americani un felice Giorno del Ringraziamento, domani ! Io lo festeggerò in un ristorante che ha organizzato un menu del Ringraziamento con cibo americano, non vedo l'ora ;). 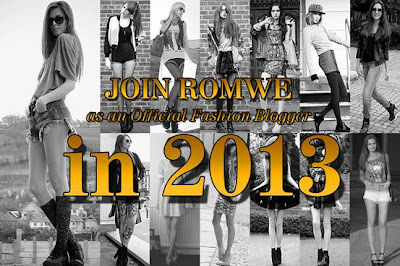 Fashion News: join the contest "Romwe Official Fashion Bloggers in 2013" ! 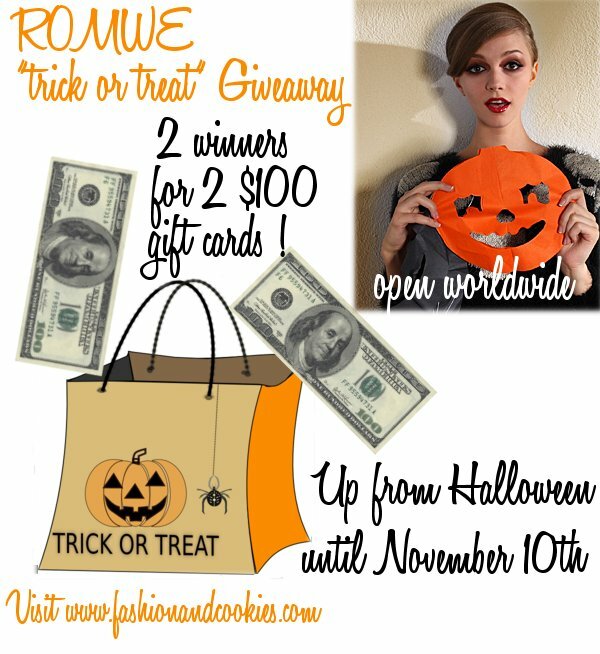 Join the FB competition, win big (up to $130 in freebies!) and become an official Romwe Fashion Blogger. $100 in freebies for 3 lucky winners! Awards are for bloggers with the most “likes”, most “fans” and best style, and each qualified participant will also receive $30 in freebies. If you have 2000+ fans on your FB-Fanpage, you're qualified to be an official Romwe fashion blogger. 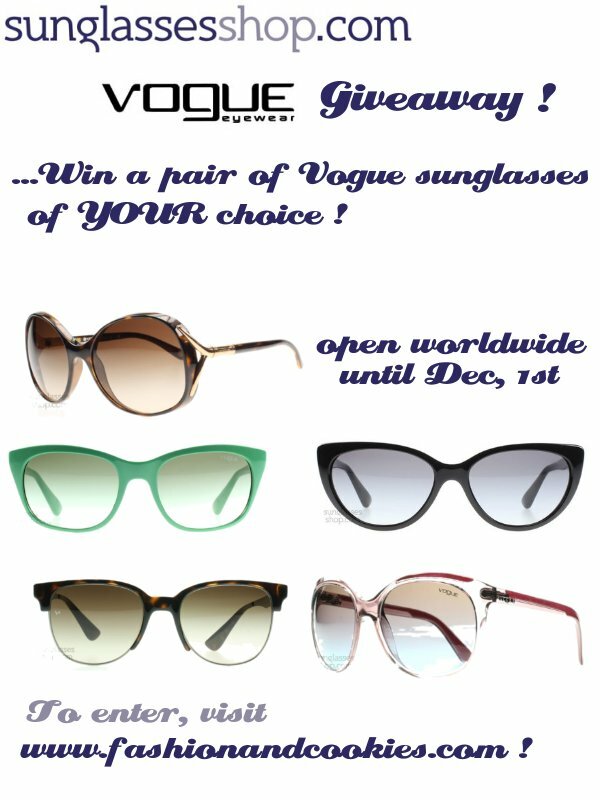 The contest in only open (Valid dates: 11.12 – 11.30.2012) for bloggers that aren't already current Romwe fashion bloggers! For more details click here ! After many black outfits, it's time for some color with this black and cobalt blue bodycon striped dress, with pics taken in a very colored street !. I was so happy when I found this striped dress at Asos sales so I could buy it with a discount, I had already seen it in a shop but didn't buy it immediately, and when I saw the price was much cheaper than in the shop I was really pleased !. You have to know I am not really Miss bargain, usually I am an impulsive shopper and I am not good at asking for a discount nor in waiting for the sales to get what I want...therefore, when I succeed in saving some money, I feel really badass, LOL ! :-). Dopo diversi outfits neri, è tempo di un po' di colore con questo abito aderente a maxi righe nere e blu cobalto, con foto scattate in una strada a sua volta piena di...colori !. Sono stata così felice quando ho trovato questo abito a righe a sconto su Asos perché lo avevo già adocchiato e provato in un negozio ma non l'avevo comprato, così per una volta sono riuscita a pagarlo molto meno ! Dovete sapere che di solito non sono proprio un'affarista...siccome compro impulsivamente, non riesco a chiedere sconti o ad aspettare il momento dei saldi, per cui nelle rare volte in cui risparmio qualcosa mi sento realizzata ! ;-). This dress is from the brand French Connection, I usually like their dresses, most of them are bodycon. This one has very short sleeves and since the weather wasn't warm, I kept my black cardigan on. This cardigan is a dear friend of mine...I wear it so much and I also have another grey one !. 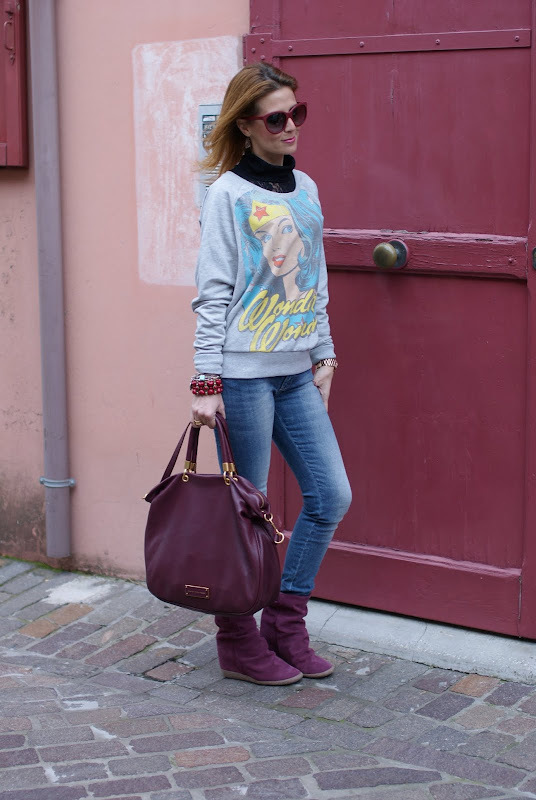 Questo abito è del brand French Connection, di solito mi piacciono molto i vestiti di questo marchio, molti sono aderenti. Avendo le maniche molto corte ed essendo il tempo abbastanza freddino, ho tenuto su il cardigan nero. Questo cardigan è un mio caro "amico"...lo indosso spesso e ne ho anche uno identico di colore grigio !. I decided to wear a Zara studded clutch you had already seen and as shoes I went for my Cesare Paciotti ankle boots. Next time I'd like to wear this dress with biker boots. 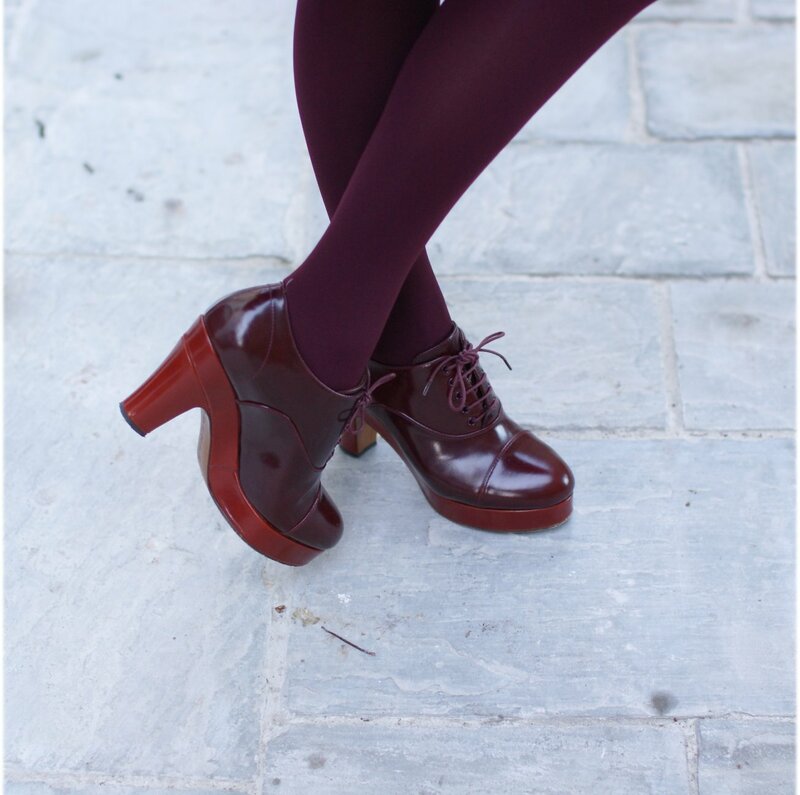 Opaque tights are my drug during winter...and I like to use colored ones, in spite of using black ones most of the times ! This time I thought I'd match royal blue tights to spice up the outfit. Do you use colored tights as well ?. Come borsa ho deciso di optare per la clutch borchiata di Zara che avevate già visto e come scarpe ho scelto i tronchetti di Cesare Paciotti. La prossima volta proverò ad indossare questo abito con i bikers. Le calze coprenti sono la mia droga per l'inverno...sebbene la maggior parte delle volte le indossi nere, questa volta ho optato per un blu cobalto per riprendere l'abito. Voi usate le calze colorate ?. Shopping tips: Black Friday on Romwe ! 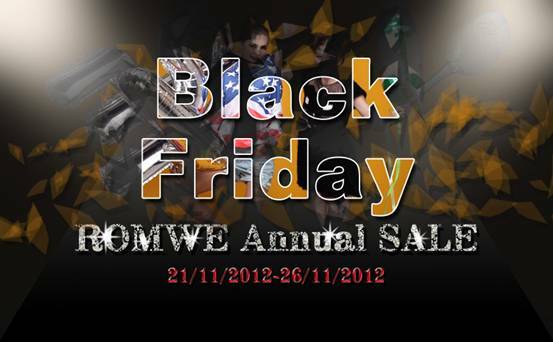 Black Friday is coming and Romwe is having the biggest annual sale with Black Friday sale ! Up to 70% off, from 21st through 26th November, so don't you miss it !